Tim Tebow stunned many by going in the first round of this year’s NFL draft, but should we really be surprised? In an era where questionable off-field antics are forcing clubs into weekly PR clean-up, Tebow might just be what the (horse) doctor ordered. Especially in Denver, where they’ve dealt with shifty characters and mediocre talent for too long. Here comes Tebow, a hard worker with strong ethics, who might just give fans in Mile High something to cheer about. 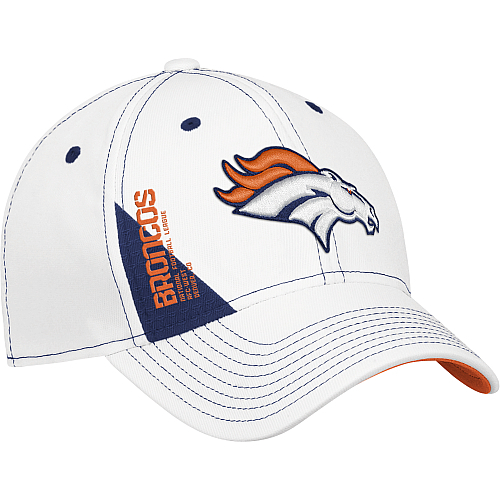 And at the very least, they might sell a few more of these draft day caps, which we think are smartly minimalist. Outside of the classic orange ‘D’ cap that is. That’s hard to beat.